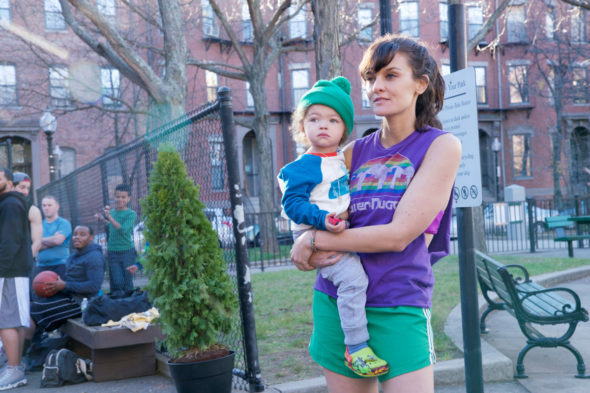 What’s going on with SMILF? Deadline reports production on the Showtime TV show’s second season will continue on schedule despite an ongoing investigation into creator and star Frankie Shaw. The comedy stars Shaw as Bridgette Bird, a working class, South Boston single mother striving to provide a better life for her son. The cast also includes Rosie O’Donnell and Miguel Gomez. According to The Hollywood Reporter, several employees have accused Shaw of misconduct on the set of SMILF. The series’ producing studio, ABC Signature, says they are investigating the claims. However, the investigation will not delay season two, which is set to premiere on Showtime on January 20th at 10:30 p.m. ET/PT. What do you think? Have you seen SMILF? Will you watch season two? More about: Showtime TV shows: canceled or renewed?, SMILF, SMILF: canceled or renewed?